As college students, we’re always really busy. Between classes, extracurricular activities, a social life, and doing things to be a semi-organized adult – it’s a lot to manage. In the midst of the busyness, it’s really easy to forget the importance of taking care of ourselves. Here are some tips for incorporating healthy self-care practices into a hectic schedule. I’m a firm believe in the fact that prioritizing hygiene and health practices is the beginning of every self-care routine. This includes sleeping well – and enough – which is a big issue for many college students (including myself). I am trying to combat this by setting a realistic, consistent bedtime for myself on weekdays, as well as ditching the restorative naps. 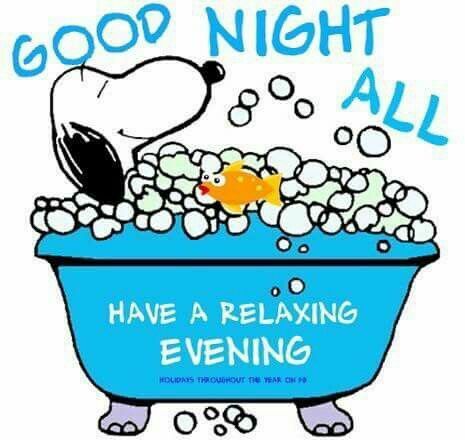 A good night’s sleep makes a world of a difference. 2. Figure out what you need and want from your self-care practices. What is it that you need in your life? Do you need to relax and de-stress? Do you need to sort through your emotions? Do you need to disconnect digitally? It’s really important to identify what we need, which can be difficult in times when we just feel like an overall mess. I suggest starting by identifying a feeling in the moment, analyzing whether or not that is something you feel frequently, and coming up with a possible solution or counteracting activity. 3. Choose activities that fit those needs and wants. Here are a few of my suggestions in terms of things you can do! Read a chapter of a good book. Watch an episode of your favorite funny sit-com on Netflix (my favorites are Friends, The Office, New Girl, and One Day at a Time). Take a 30 minute power-nap. Make a hot tea or hot chocolate. Do some exercise or yoga. Journal or brain-dump, either in a notebook or on your phone’s notes. Have a chat with a close friend about what you’re feeling. Call a family member to talk it through. Stay off of social media for a while by either turning off notifications, deleting the apps from your phone for the day, or (if you have a ton of self control) simply ignoring the notifications. 4. Have a designated time of each day to do something that is self-care to you. I find that it is really helpful to have a time every day during which my brain doesn’t have to function and I am able to relax. For me, it really works to have an hour before bed as my time to organize my room, do my skincare routine, and watch some tv. This is something that I’ve found works for me with the way that I function (I am NOT a morning person), and it’s doable in my daily life. 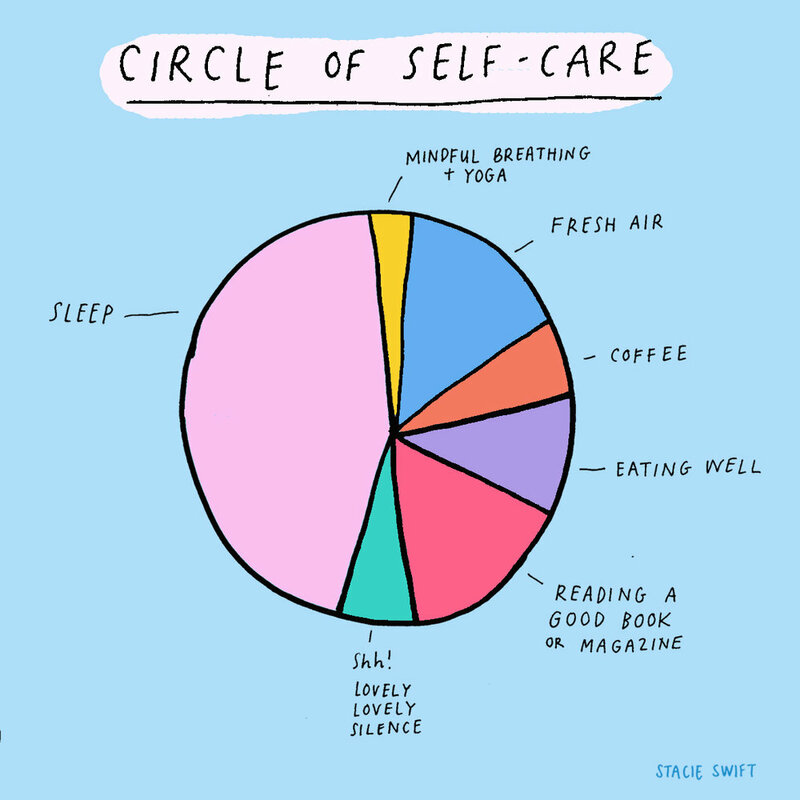 We each function differently, but having a designated time of day for self-care really helps it not get pushed to the side. 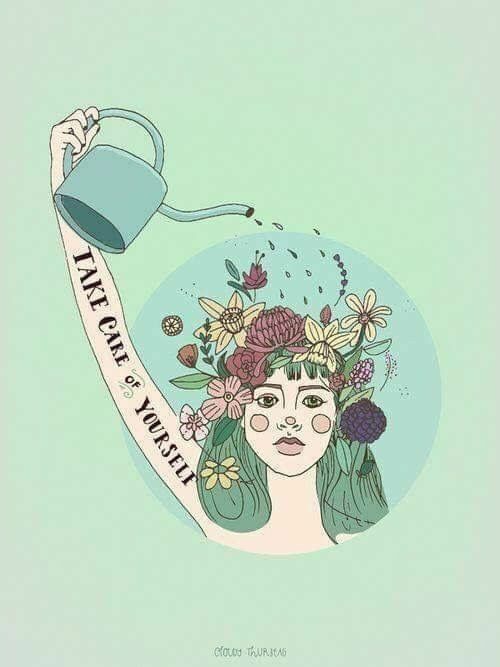 Self care doesn’t make problems go away, but it helps recharge and restore you to be able to tackle them better.